At “El Tapeo – Spanish Eatery & Wine Bar” we aim to bring the livelihood and authenticity of Spanish bars and restaurants to the very heart of Bangkok. Inspired by the bar and dining atmosphere of Spain, and specifically by our sister restaurant in Madrid (El Rinconcito de Juan), we offer a down to earth and authentic approach to the Spanish eating culture. In a style that can be compared with the one of Japanese “Izakayas”, Spanish tabernas (a combination of bar and restaurant) are the perfect places for people to enjoy some drinks accompanied with traditional snacks at the bar counter or for those that want a more traditional sitting-down dining experience. At “El Tapeo” you will be able to taste some of the best Spanish plates and snacks, together with a wide selection of wines (both by the glass or by bottle), beer (draught and bottled) and other Spanish-inspired drinks and cocktails. While “tapas” are one of the most worldwide examples of the Spanish gastronomy, not that many people know “pintxos” beyond our borders. The concept “tapas” has different meanings for different people. 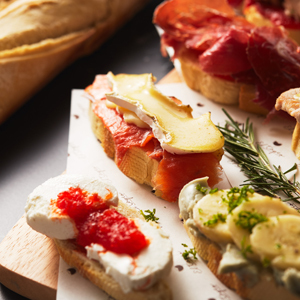 In most of the Spanish territory “tapas” is the name given to the food served and eaten in small servings to accompany a drink (either as a compliment or for an extra cost). 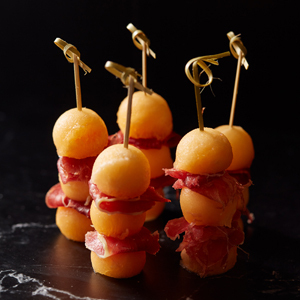 However, a broad percentage of the population use the term “tapas” to refer to any Spanish food served in sharing platters (what we call “raciones” in Spain). "Pintxos" are the quintessential example of the gastronomy in the Basque Country (Northern Spain). Their name comes from the Spanish verb “pinchar” which means to pierce or to stab. Traditional “pintxos: were served on a piece of bread and pierced by a toothpick (that's why they got this name). 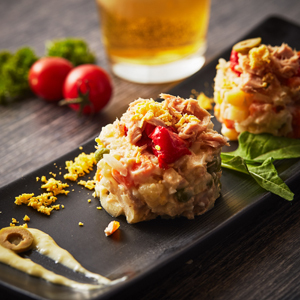 Bars in the Basque Country often have their counter filled with plates of various “pintxos” ranging from traditional versions to mini "gourmet" creations. Regarding our approach to coffees, while offering a menu of Spanish-style hot beverages, we have decided to use only the best local organic products in order to offer our clients the very best grains and to support the local producers and community. At “El Tapeo – Spanish Eatery & Wine Bar” you will savour the very best handpicked, single origin, organic coffee from our supplying farm in Northern Thailand: Nine One Coffee. Its owner, P’One (Mr. One), started producing organic coffee by growing the plants in the middle of the jungle in Doi Saket more than 15 years ago, when the word “organic” was practically unknown among local producers.